To add a special effect to your photos, on your face, you should try the Vintage TV effect by ConvertImage! It has never been so easy to create a Retro TV effect on your photos. The old television receivers were only in black and white, then came the colour. 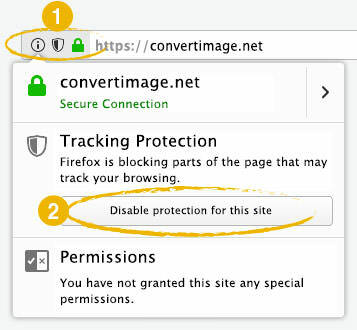 However, there was always a slight concern about the image size... indeed, it seemed distorted ! This phenomenon is also known as the "Barrel effect" : this was due to the convex shape of the screens. Moreover, former TV screens displayed interleaved lines, or "Scan Lines" (PAL/NTSC), typical of the (sometimes good) old movies. That was due to a bad transmission of the TV signals, due to poor positioning of the external receiver. You can now recreate this stunning effect on your face or your current pics. You will astonish all of your friends and your family! By the way, have you also tried the stereoscopy online image effect ? It's worth it! You will apply a TV effect to your picture in the next step, just after sending your file. 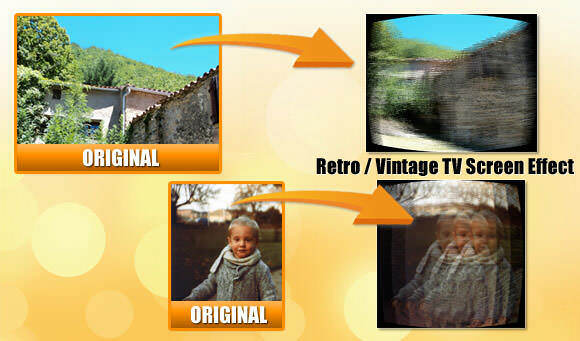 Create a Vintage TV effect on all your photos on ConvertImage ! 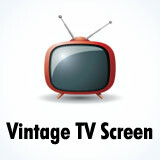 ... and create an Retro TV effect online !